The cart boy at the last tournament I played in failed. First, I can’t get my towel out. Second, I cant get my wedge out because it is held down by the towel, which I can’t get out. 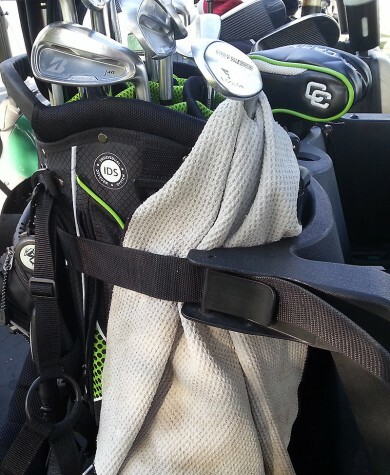 From the looks of those sticks you could stand to update your “In My Bag” feature…. Very observant. Well played. You are right. I should do that! There… updated to the current setup, which will likely change TOMORROW. Hehe. Love the Carnahan putter, I play a Morrison. One of the best putters around. Love seeing Carnahan equipment. I game a Morrison putter, myself. One of the best club makers around.